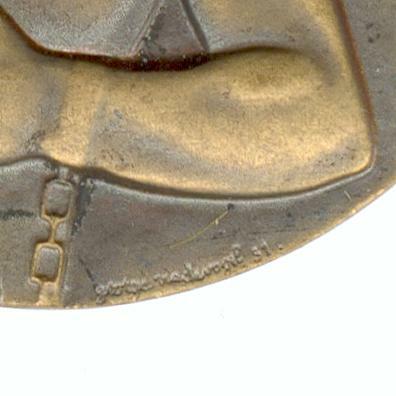 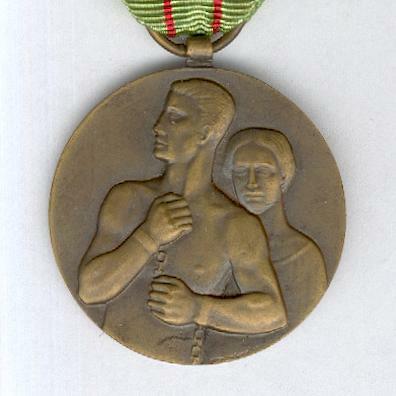 Circular gilt bronze medal with laterally-pierced loop for ribbon suspension; the face with a half-length naked male figure facing left, his left arm laterally across his body, his right raised from the elbow in the act of breaking the chains that bind his wrists, a female figure to the right in a simple shift looking directly ahead over his left shoulder, signed ‘george vindevogel’ and dated ‘51’; the reverse inscribed ‘RESTITERUNT’ (Latin = They resisted), dated ‘1940’ above and ‘1945’ below; on original ribbon mounted for wear in the Belgian style, the face slightly age-faded. 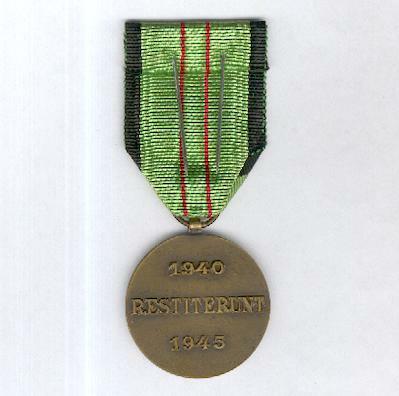 The medal was instituted on 21 March 1951 and awarded to those civilians who had been recognised as active in resisting German occupation. George Vindevogel was a member of the family of sculptors and founders based in Zwijnaarde, just south of Gent. 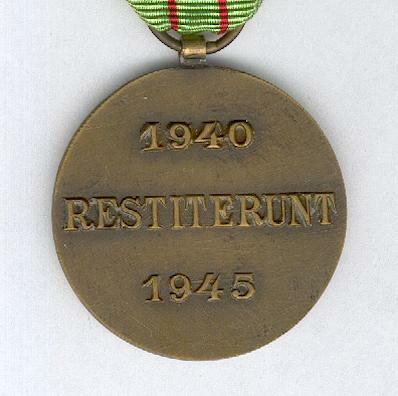 A rare medal.